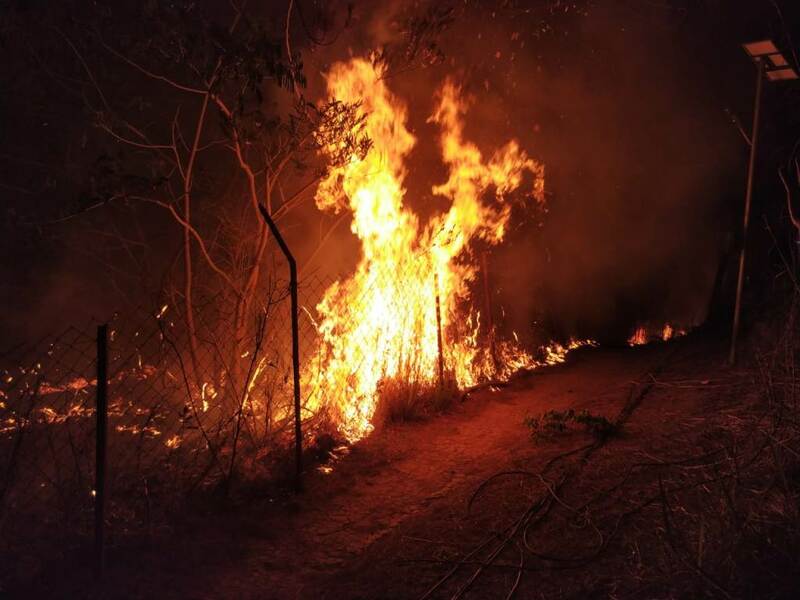 Imphal, April 13 2019: On 11 April 2019, at around 1700 hrs a vigilant sentry in one of the duty post of Pallel Garrison of 26 Sector Assam Rifles under IGAR(South) spotted a wild fire approaching the parameter of the garrison and a nearby village Meipou. The team cordoned the area immediately to ensure the safety of civilians followed by controlling the wild fire with all available firefighting equipments. Three water dowsers with pumps and pipes were quickly pressed into service and were stationed near the garrison parameter to control the wild fire. By 2230 hrs in the night, troops were able to control the situation. Timely and prompt action of the troops of Assam Rifles saved the village from getting engulfed by wild fire.